The death occurred, peacefully, in Mullingar General Hospital, surrounded by her loving family, on Monday, April 15 of Margaret Rose McGrane (née Donlon), No 22 Demesne, Longford Town, Longford. Predeceased by her parents Thomas and Katie, brother Tommy, sisters Olive and her twin Josephine. Margaret will be forever missed by her husband James, sons Jason and Morgan, daughters Emma, Una, Claire and Olive, grandchildren Andrew, Abigail, Jack, Hannah and Liam, brothers P.J, Larry and Mattie, sisters Mary, Geraldine and Pauline, brothers-in-law, sisters-in-law, sons-in-law, daughters-in-law, nephews, nieces, relatives, neighbours and friends. Always in our thoughts, forever in our hearts. May She Rest In Peace. 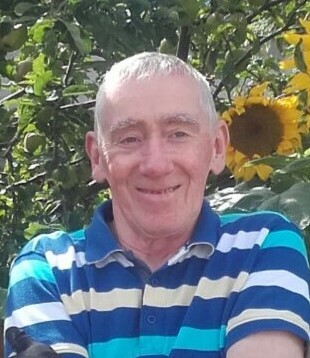 Reposing in Connells Funeral Home, Church Street, Longford N39N66, on Wednesday, April 17 from 6pm concluding with prayers at 8pm. Removal on Thursday, April 18 to St Mel's Cathedral, Longford, for Funeral Liturgy at 11am, followed by burial in Moydow Cemetery. Family flowers only please, donations, if desired, to St Joseph Patient Comfort Fund, Longford, c/o of Connell's Funeral Directors or any family member. The family would like to thank the Doctors, Nurses and staff In Mullingar General Hospital especially all in ICU for looking after Margaret so well. The death occurred, peacefully, at St. Francis Hospice, Blanchardstown, on Monday, April 15 of Anne Marie Benson (née Pedersen), Knockloughlin, Longford and formerly of Sandyford, Dublin. Beloved wife of Geoffrey and dear mother of Jennifer, Lisa and Stephen. Sadly missed by her loving husband, daughters, son, grandchildren Conor, Bryn, Evan, Nathan and Stella, sons-in-law Danny and Noel, Stephen’s partner Kristina, brother Erik, nephew Jakob, her dear friend Nete, sisters-in-law Eleanor and Elizabeth, relatives and friends. A Civil Funeral Service will be held in The Victorian Chapel, Mount Jerome Crematorium, Harold’s Cross on Thursday afternoon, April 18 at 4pm. Family flowers only, please. Donations, if desired, to St Francis Hospice, Blanchardstown or St Christopher’s Services, Longford. The death occurred, peacefully, in Cavan General Hospital, on Wednesday, April 17 of Margaret T McCabe, (known as Gretta), Beaghmore, Carrigallen, Co Leitrim. Reposing at her residence on Holy Thursday, April 18 from 3 to 8pm and on Good Friday, April 19 from 4.30 to 8pm. Remains arriving at St Mary’s Church, Carrigallen for Funeral Liturgy at 11am on Holy Saturday, April 20. Burial afterwards in the adjoining cemetery. Requiem Mass on Wednesday, April 17 in S.S. Peter & Paul's Church at 11am followed by burial afterwards in Drum Cemetery. House Private on Wednesday morning please. Removal on Wednesday, April 17, to the Sacred Heart Church, Whitehall, to arrive for Funeral Mass at 12 noon. Burial afterwards in Kilbarry Cemetery. Family flowers only please. Donations in lieu of, if desired, to Roscommon-Mayo Hospice. Funeral Mass on Wednesday, April 17 in St Patrick's Church, Ballinamore at 12 noon followed by burial in Oughteragh Cemetery, Ballinamore. 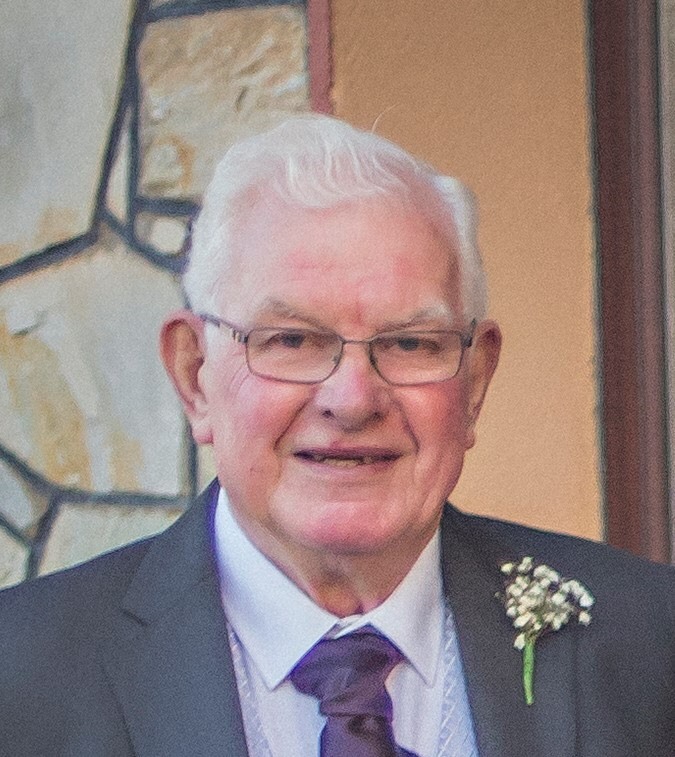 Funeral Mass will take place on Wednesday morning, April 17 at 11am in The Church of the Assumption, Castletown, Delvin, followed by burial afterwards in Delvin Cemetery, Collinstown Road.